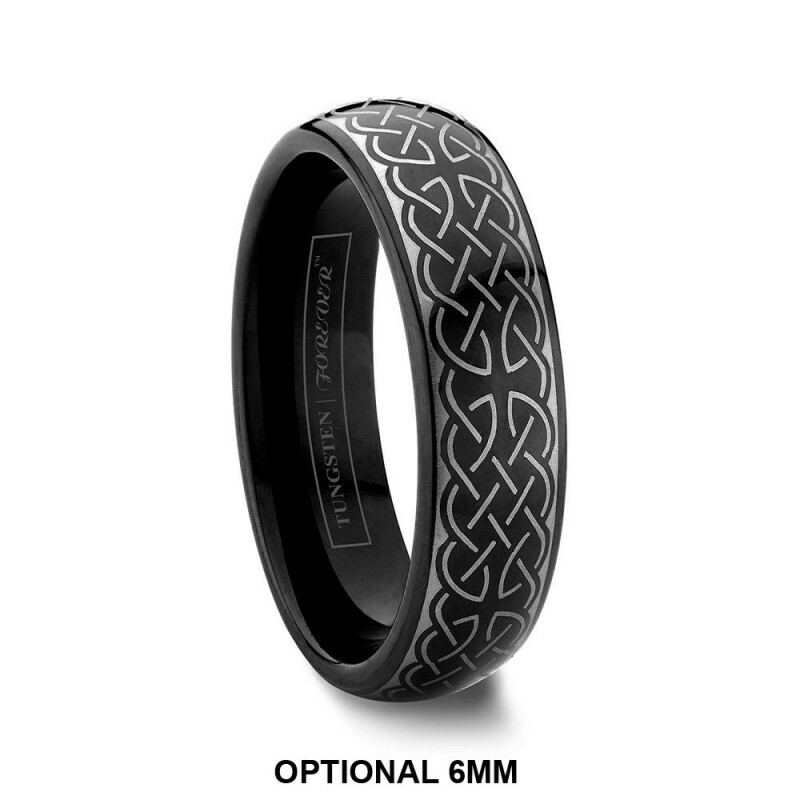 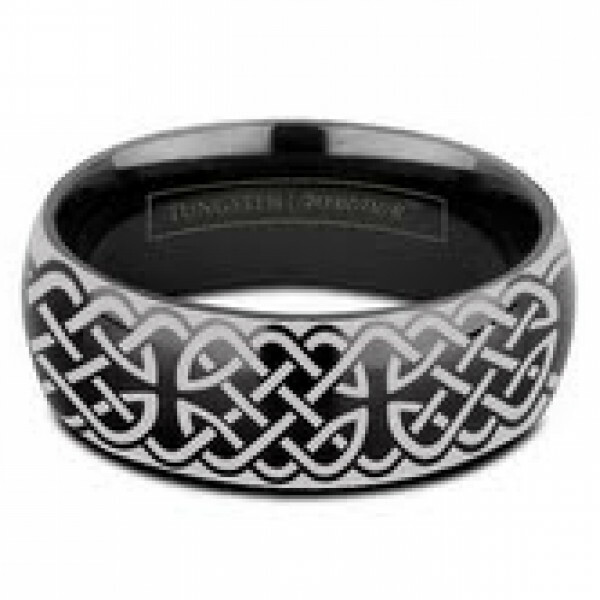 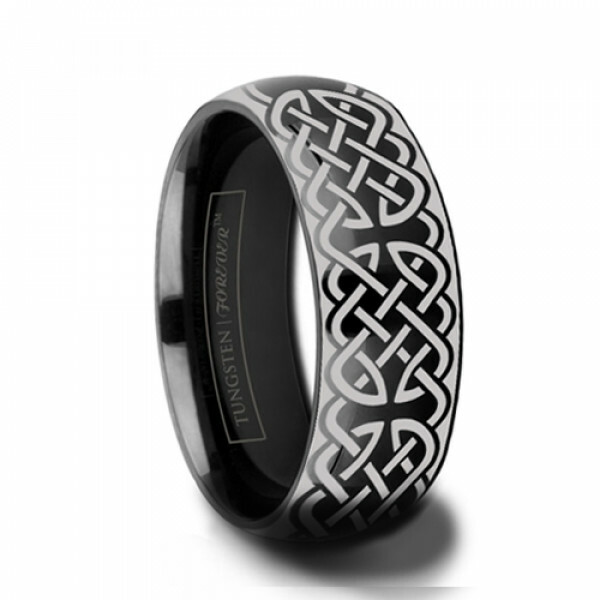 A wedding band of fine details, the SCROLL features a intricate woven Celtic laser design engraved on a domed black tungsten ring. Celtic wedding bands and their braided patterns symbolize the interweaving of your love and two lives together into one. Available in 6mm or 8mm width and available for your personalized engraving on the interior.